There was an air of sadness in the world the day actor, Luke Perry, died of a massive stroke. This man was the first boyfriend of many women aged 35 to 55. Then, in the blink of an eye, a seemingly healthy 52 year old man died, leaving behind family, friends, and fans. Then, another collective gasp arose from the crowd when it was learned that he was engaged to be married and the wedding date was set for August 2019. Unlike many entertainers who had passed within the past year or so from sudden illnesses or other reasons, Luke Perry had a will. He had children from a prior marriage and had wanted those children to be cared for if he could no longer be able to do so. The question that hit the legal community was whether the will had been updated to include the fiancé. If it had, there would be little issues. If it had not, what rights does the fiancé have to contest the will, if need be? Granted, Luke Perry did not die or reside in North Carolina. However, when it comes to probate laws, different states have different laws. Therefore, for the purposes of this study, we will assume that the person dies in North Carolina. In North Carolina, a current spouse is entitled to the property of the decedent. If there is a will, the will can be probated as written assuming the spouses are still married at the time of death. If the spouses are divorced, then an issue may arise. If the will was written before the spouses divorced and never changed, the stipulations relating to the now ex-spouse are voided in the will. However, if the will was written after the divorce occurred, the will can be probated as written. Unfortunately, North Carolina is not nearly as clear regarding inheritance for an intended spouse or a fiancé. In some cases, there is no wedding date set, which makes a person more of a fiancé in name only. Then there are cases where the wedding is set and the couple are intended to be married. North Carolina does not acknowledge the rights of a fiancé when dealing with inheritance. However, intestate laws can be applied if the will had not been updated. If the couple owned a property together and shared joint bank accounts, the contract laws relating to those assets will supersede the will. The home will be transferred to the surviving owner, assuming both parties were on the deed and title to the home. The bank accounts will also be transferred to the surviving account holder, assuming both names were on the account and both parties contributed to the account. Life insurance works in much the same way. The individual named as a beneficiary on the life insurance policy(ies) will receive the benefits. 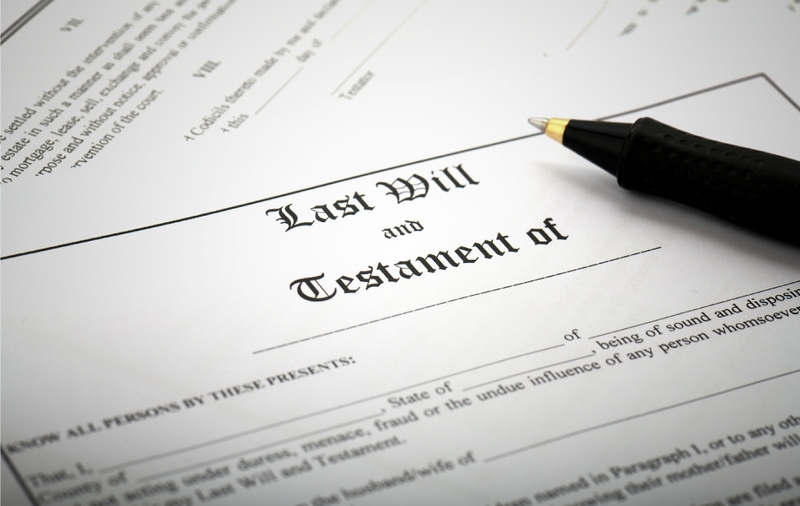 However, any assets not jointly owned between the unmarried couple will follow the provisions in the will or, if not included in the will, the laws of inheritance in the State of North Carolina. If you are dealing with a complicated estate issue which requires legal help, contact the attorneys at Baucom, Claytor, Benton, Morgan & Wood at 704-376-6527.